Now that we're almost halfway through Hurricane season, hopefully you have a plan for what you would need and do in the event of a hurricane. Remember that your safety and the safety of your family is most important! Having enough food, water, medications, and a First Aid kit are certainly at the top of the list, but there are many other things to consider, whether you decide to shelter in place or evacuate ahead of a storm. 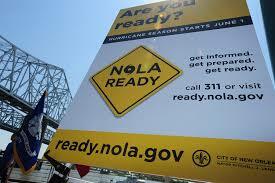 The City of New Orleans has a great storm preparation resource site, NOLA Ready, where you can sign up for alerts and get shelter, transportation, traffic and street flooding info. as well as preparedness tips for pets, children, those with a medical conditions and more. Make sure to check it out and have a plan ahead of any weather event! 2 Oaks Apartments, New Orleans’ newest affordable apartment community, recently was featured in Biz New Orleans’ “Biz Minute.” Editor Leslie T. Snadowsky explains how the redevelopment project, located at 14600 Dwyer Blvd. in New Orleans East, will revitalize the site of the former Versailles Arms Apartments and Village d’Lest neighborhood. 2 Oaks is currently leasing the first 296 out of a total 400 planned units. The Biz Minute details the 21-acre property and the many community amenities planned for the development, including two community amenity buildings with a fitness center, business center, and clubhouse with free Wi-fi, after school programs and community education programs. The apartments offer units ranging from one- to four-bedrooms, and rents range from $675 to $1200. Income restrictions apply. 2 Oaks Apartments was thrilled to be featured on WLAE-TV for this month's episode of "Affordable Housing Matters" with host Norm Robinson. Robinson interviewed Molly Smith, regional manager with 2 Oaks’ property management team at Commonwealth Properties, who explains how the affordable housing model, supported with Low Income Housing Tax Credits (LIHTC), helps communities such as 2 Oaks provide modern living without the expensive price tag. The episode, which airs Tuesdays at 9:30 p.m. this month on WLAE, also includes a segment on Hurricane Preparedness with the Louisiana Chapter of the American Red Cross. Smith describes the application process for qualifying for affordable housing and the features and amenities available at 2 Oaks Apartments. 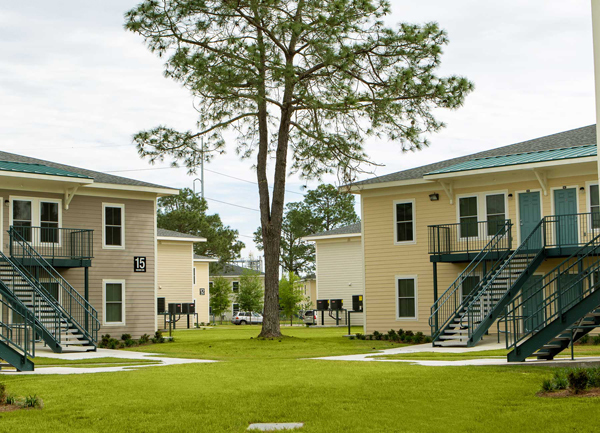 2 Oaks is a new affordable mixed-income rental housing complex located in New Orleans East. 2 Oaks is now leasing its first 200 units, with an additional 200 units under construction throughout the summer. 2 Oaks offers 1-, 2-, 3- and 4-bedroom apartments including all kitchen appliances and washer/dryers in each unit. Rents start as low as $675 for a 1-bedroom apartment and include water, sewer and trash service. 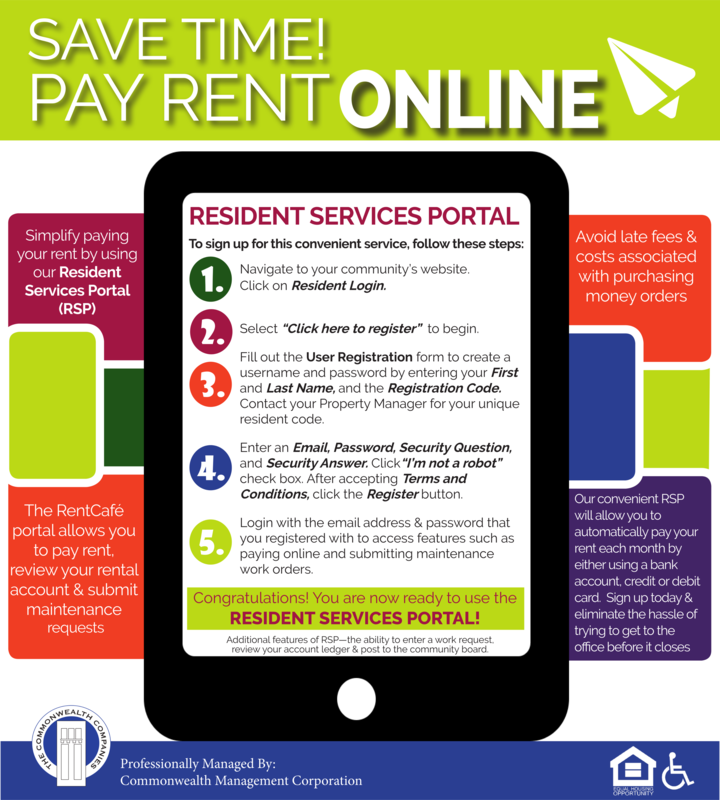 The community offers 24-hour on-site maintenance, 24-hour security and on-site property management service. 2 Oaks' developer Mirus Partners manages 2,400 affordable housing units in the Midwest. Did you know that every Saturday you can shop at a Vietnamese Farmers Market in Versailles? Versailles is one of the most densely populated Vietnamese communities outside of Vietnam, and 2 Oaks was site of Versailles Arms Apartments, where many Vietnamese refugees settled in the 1970's. 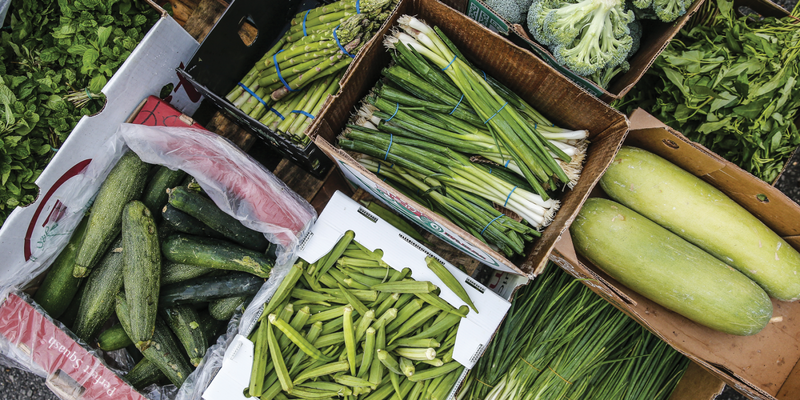 At the farmer's market, you'll find familiar items such as okra, zucchini, scallions, carrots, greens, asparagus and basil. Of course there also are plenty of items common in Vietnamese dishes such as purple yams, luffa squash, Thai eggplant, watercress and lemongrass - plus cages with rabbits, chickens, hens and roosters. 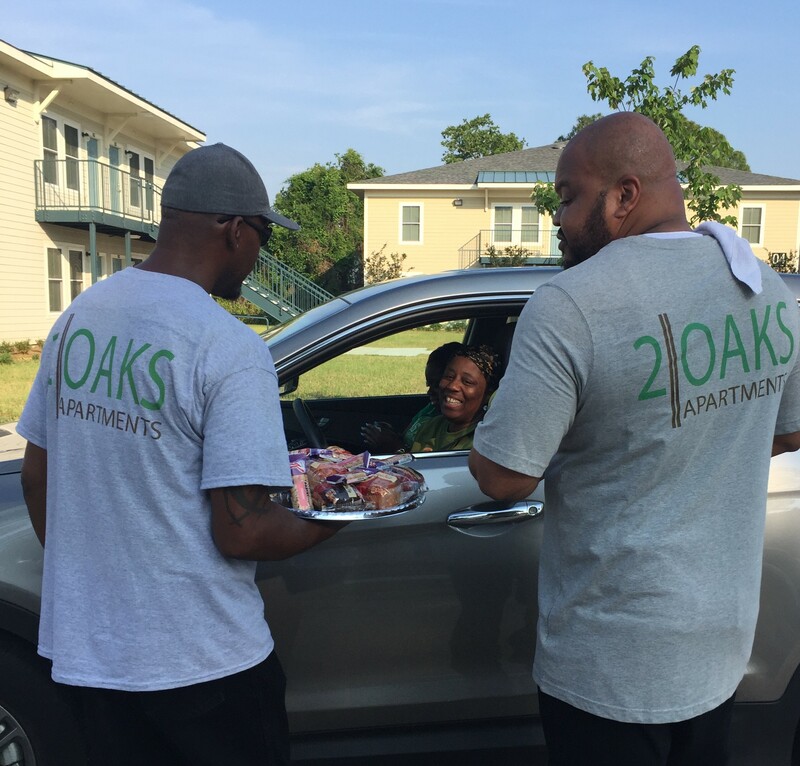 2 Oaks Delivers "Breakfast on the Go"
2 Oaks' Property Management Team passed out pastries, fruit, juice and smiles to residents passing through the intersection of Oled and Peltier drives this morning for our "Breakfast on the Go" resident appreciation event. We're so glad you're part of the 2 Oaks Community! 2 Oaks Apartments would like to show our appreciation for our wonderful residents! 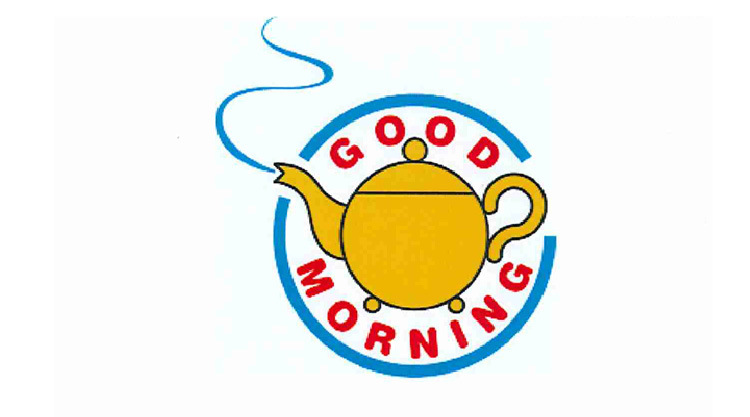 Please join us Tuesday, May 15 from 7:30-8:30 a.m. for our "Breakfast on the Go" Resident Appreciation event. The 2 Oaks complex features a garden style design with brick and HardiePlank exterior siding and modern open floor plans. 2 Oak apartments are fully equipped with energy efficient appliances, full-size stackable washer and dryers, plank flooring and carpet. Community amenities will include: a clubhouse with fitness center, business center and free Wi Fi; a community center offering after school programs, community education programs and social events; and 24/7 emergency maintenance and video surveillance. Other features include extensive landscaping, lighted pathways, a picnic area, playground, splash pad, and a walking path next to a lagoon at the edge of the property. 2 Oaks offers 10 different floor plans, including 1- to 4-bedroom layouts specifically designed to add a modern touch to comfortable apartment living. Read more about 2 Oaks development at New Orleans CityBusiness.